There is a growing problem for many businesses looking for insights from Google Analytics. Logged in users of Google products (and search bars), have the keyword referral data stripped and this is replaced with the keyword (not provided) instead. There are several ways to gain insights from the data that is reported instead. At the simplest level, you can segment the organic data by landing page. For a more complex approach, register for the new (not provided) tool currently in Beta testing. This tool relies on neural networks and machine learning techniques to discover the hidden keywords within the the (not provided) organic referrals. 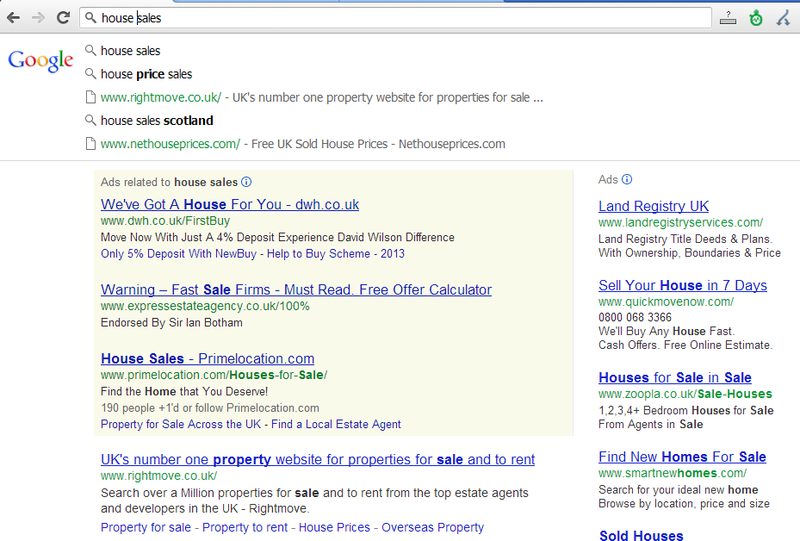 Google has been testing search without the search box in Chrome as shown in the screenshot below. Instead, the browser bar is the only place you can enter search terms – instant results appear beneath.